All praise is due to Allâh, Lord of all the worlds. Peace and blessings of Allâh be upon the Prophet, his household and companions. Fellow Muslims! Fear Allâh and be dutiful to Him. Stay away from sins. For sins destroy. Know that you have a Lord Whom you are going to meet and a house in which you are going to live after your death. Seek the pleasure of your Lord before you meet Him and properly build your house before you move into it. Fellow Muslims! We are the ummah of Qur’ân and Sunnah, the ummah of divine guidance. We are the ummah of the right path but we did not stay on this path. Hence, belief in Allâh is the source of security and peace. And the hearts that are devoid of خmân are always far from Allâh and are full of fright and confusion. Fellow Muslims! When a man’s heart is full of Iman, he knows his place of refuge and the remedy for his ailments. For this life is based on toil and man is seldom free from dangers. He suffers ailments and calamities; sorrows and wars; injustice and transgression and all kinds of tribulations. However, Allâh is Ever Compassionate with His slaves. He always provides for them relief through a door of His mercy and blesses them with tranquillity and peace of mind. That door is the door of supplication to Allâh, humbling oneself before Him and putting one’s trust in Him. For supplications are the security of the frightened, the refuge of the weak and the solace of invocators. Who is He that has sought refuge with Allâh and has not been protected and who is he that has relied on Him and has not been given guidance? O you who is afflicted with calamities! O you who has been weakened by ailments! O you who have been overwhelmed by debts! Why don’t you call upon Allâh the Self-Sufficient and the Most Gracious? O you who have been submerged by sins! Why can’t you call upon Allâh the Oft-Forgiving to forgive you? O you who lives in fear and distress! Why can’t you call upon Allâh to give you relief? Even some ancient polytheists would sincerely call upon Allâh alone whenever they were faced with calamities. The Muslim nation is now in dire need of the mercy of its Lord as it is in need of His help. Let us return to Allâh, invoke His blessings and hope for His mercy. Fellow Muslims! Supplication has its condition and manners, which every Muslim must learn in order to have his supplications answered. Foremost among these is that the intention and means of supplication should be compatible with Islâmic Monotheism. It is this condition that makes supplication an act of worship that must be solely directed to Allâh alone. Man must call, seek assistance from and seek refuge with Allâh alone. 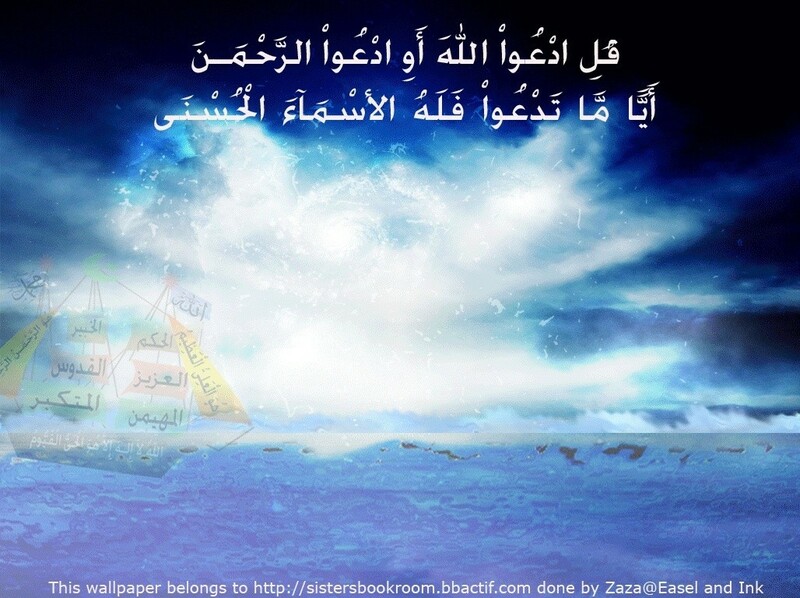 He must seek forgiveness, victory, guidance, realization of his goals and aid from Allâh alone. He should ask only Allâh for the removal of his afflictions and for security against all evils. Allâh answered his supplication through Tawhîd. Brethren in Islâm! The supplicant should make sure that he follows the Sunnah while making the supplication. He should call upon Allâh with His sublime Names and Attributes. He should seek for His forgiveness and acknowledge His favour on him. It is good if he starts his supplication with praising Allâh as it is due and invoking His blessing on His Prophet, Muhammad –peace and blessings of Allâh be upon him. The supplicant should also not transgress while making supplication nor be in haste to have his supplication answered. He should also not despair. For the One he calls is the Graceful Lord. Further, the supplicant must be a sincere believer. He should face the qiblah while making the supplication and should be sure that he is in the state of purity. He should raise his hands to Allâh. He should be resolute in his supplication, supplicate at the times when invocations are most likely answered and select the supplications that are authentically reported from the Prophet. He should also not forget to make a sadaqah before his supplication. If he can do all these, his supplication will never be rejected. If he however does not see a sign of the acceptance of his supplication, let him examine himself. Which means: Had it not been for the good deeds that he had done before, he would have been made to remain in the belly of the whale till the Day of Resurrection. The Muslim must therefore remain steadfast during afflictions and return to Allâh in repentance. Fellow Muslims! Let us always follow the teachings of Qur’ân and Sunnah. It is the duty of the scholars to teach people and direct them to all that can benefit them and remove their distress. They should remind people of Allâh and teach them the importance of unity and the harm of disunity.